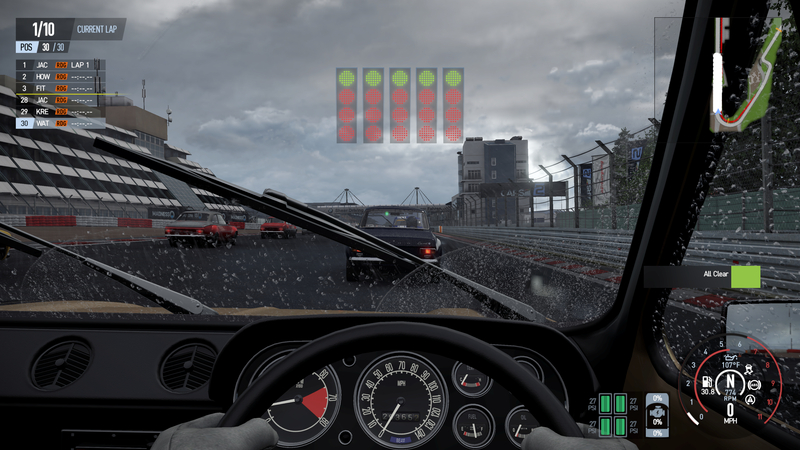 In the game's cockpit view we can see some more notable improvements to texture detail at medium and high settings, with the player's gloves and dashboard sticking out. 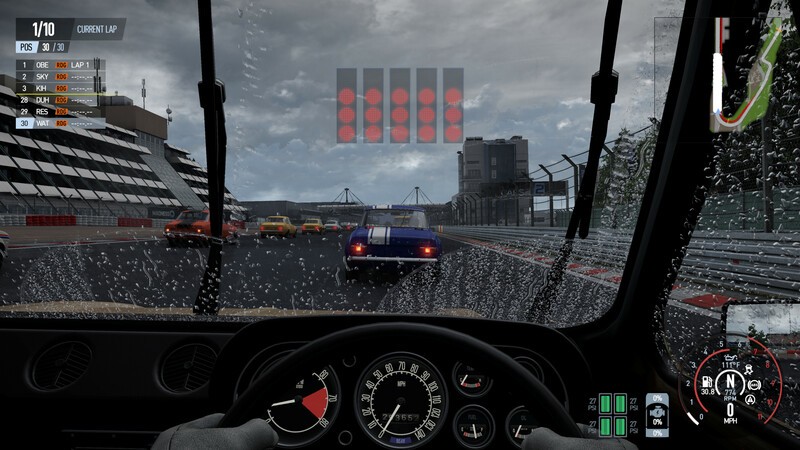 Here we can also see some notable changes to shadow quality, as well as some changes to the in-game rain effects on vehicle windows. 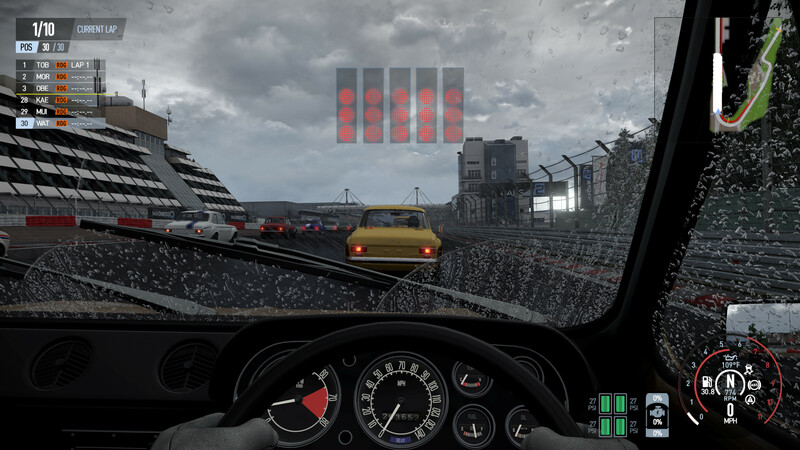 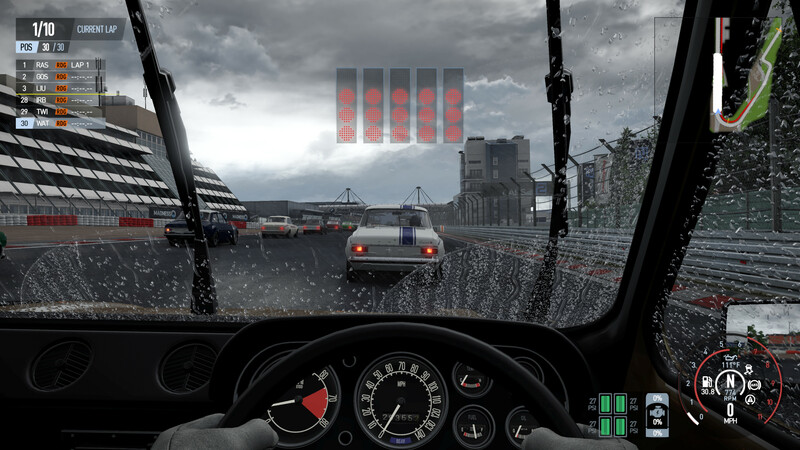 In this view, the changes to rear-view quality on vehicle mirrors is also highly noticeable, with lower graphical qualities giving a very barebones look at the action.